Google has taken a playful approach to its new ad for Google Play, a tool designed for browsing and downloading a multitude of media, including Android apps, music, movies, and more. 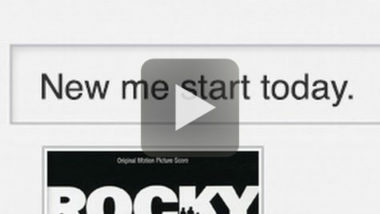 The search giant’s video ad features a brief tutorial starring Cookie Monster. The one-minute online video captures the spirit of New Year’s resolutions by having the Sesame Street character use Google Play to choose a variety of health-focused songs, films, and apps. His healthy resolve remains strong until he’s tempted by some tasty cookbooks, which causes his resolutions to crumble even faster than cookies. AdAge.com recently posted this sweet spot. To integrate online video ads into your digital marketing strategy, contact MDG Advertising. MDG Advertising, a full-service advertising agency with offices in Boca Raton and New York, NY, is one of Florida’s top integrated marketing agencies. Our 360° approach uses just the right mix of traditional and digital marketing to reach your advertising goals. While some industries may fare better in print and others online, we strive to create a balanced approach, where traditional and digital marketing efforts support each other and your message is tailored to the medium. To learn more about the latest trends in marketing and advertising, contact MDG Advertising.